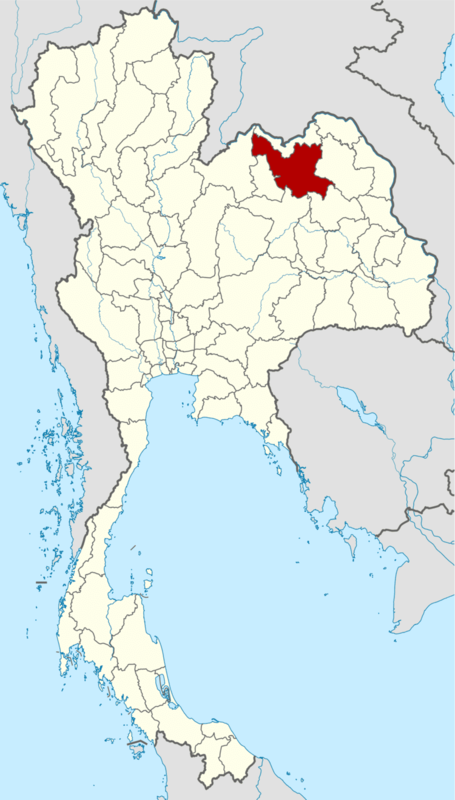 Udon Thani is a province (changwat) in northeast Thailand. It is bordered by the provinces of Nong Khai to the north, Sakon Nakhon to the east, Kalasin Province to the southeast, Khon Kaen to the south, and Loei and Nong Bua Lam Phu Province to the west. It occupies an area of 11,730 km². 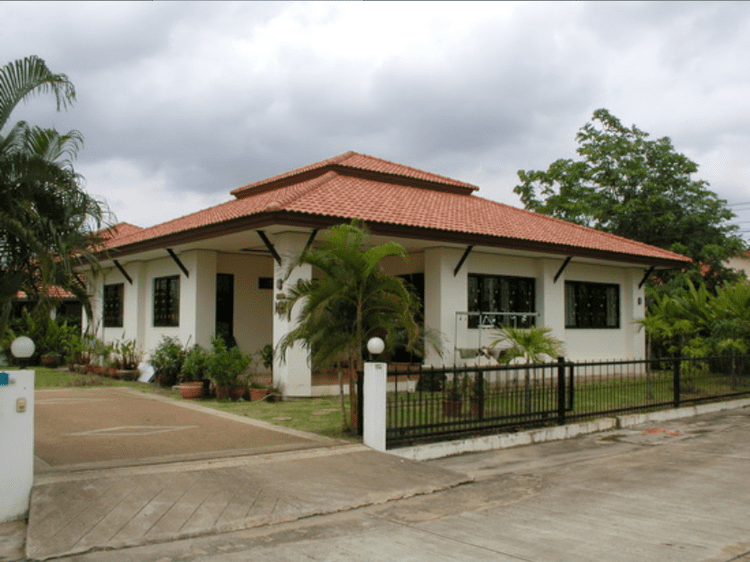 The provincial capital is Udon Thani, the major city in the province. Udon Thani first came to historical notice in the Bangkok era, when Anuwong of Vientiane staged a rebellion against Thai rule and marched his army to Nakhon Ratchasima in 1826. He captured the city by a ruse, but the garrison he left to hold it unexpectedly met with fierce resistance from the disarmed local forces led by Lady Mo, the wife of Nakhon Ratchasima's governor. Anuwong advanced as far as Saraburi, but was forced to retreat. The Thai army pursued him, and the rival forces met in battle at Nong Bua Lamphu, a small city near today's Udon Thani. After two days of fierce fighting, Anuwong's army was defeated and fled back to Laos. Once known as Ban Mak-kaeng, Udon Thani was originally settled as a military base established by Prince Prachak to suppress an uprising in the northeastern city of Lao Puan. Ban Mak-kaeng grew slowly from a small rural town to become what is now the modern city of Udon Thani. The province is best known for the prehistoric archaeological site at Ban Chiang and its Bronze Age relics, located in a hamlet about 50 kilometres (31 mi) east of Udon. Udon is one of the more bustling markets for agricultural goods in the relatively dry northeast of Thailand, and received its biggest economic boost in the 1960s when the United States built the Udon Royal Thai Air Force Base as a joint-force military base during the Vietnam War. The Mel Gibson film Air America depicts Udon and includes scenes of the Udon air base. Udon Thani was also the largest base in the region for the CIA's anti-communism campaign in Thailand and Laos. The United States turned the base over to the Royal Thai Air Force in 1976, but its presence left three residual effects on Udon. First, a large number of locals had been paid comparatively well and had learned basic conversational English. This made them more marketable to the outside world, and a significant number went to work in Middle East oilfields. Second, the base created long-standing ties with the United States, including a US consulate in Udon (closed in 1995), and a US Veterans of Foreign Wars post. But most importantly, the base and the consulate made the city into a regional hub for the northeast, and this continues today. In recent years Udon received international attention because of the discovery of large potash deposits. Some anticipate the region would become a major exporter of the mineral. However, granting the necessary approvals has been substantially delayed due to public opposition to mining. Many villagers living near the proposed mine site fear that the mining company's environmental impact assessment (EIA) did not adequately address the problems of salinization of the groundwater and soil, as well as probability of land subsidence. Either of these would seriously threaten the economic stability of local communities that depend on rice farming for income. Udon Thani's geographic position in the north of northeastern Thailand and its proximity to the Laotian capital, Vientiane, has contributed to the province's rapid development as a transport and industrial hub. This has created jobs and attracted migrants from other states as well as from overseas, particularly from Indonesia, the Philippines, Vietnam, Myanmar, Bangladesh, India, Pakistan, and China. In recent decades, the influx of illegal immigrants, particularly from Vietnam, has further swelled Udon Thani's population. Udon Thani is linked to the rest of Thailand by comprehensive air, road and rail connections. Most of the major highways that run through the northeastern Thailand, including Mittraphap Road, serve Udon Thani as well. Udon Thani International Airport, the province's primary airport, is in the district of Mueang Udon Thani near the border with Nong Khai Province. Between them, several airlines operate over 160 flights per week (as of August 2017) to Bangkok. Television in Udon Thani consists of thirteen free-to-air stations, one satellite television network, and two Internet television services. Seven of the thirteen free-to-air stations are broadcast from Laos (with four foreign relay stations). All of Thai stations are broadcast from Bangkok, except for NBT which has two hours of local programming. Radio stations in Udon Thani are available on FM frequencies. Commercial radio stations available in Udon Thani include Radio One (88.5), New Music (89.0), Cool FM (89.3), SR Radio (89.9), UFM (90.25), Kiss FM (90.75), NN Radio (91.75), Big FM (92.5), Udon FM (97.0), Nice FM (97.25), Live Hits (98.0), WOW FM (98.25), Sayamchai FM (98.5), OK Love (100.0), P Radio (104.4), Mittaphap FM (104.75), Isama Radio (105.25), Wansabai Radio (106.5), and Hit FM (107.0). Commercial radio stations are operated by a few media companies. Local community radio stations include Rajabhat University Radio (107.7) operated by Udon Thani Rajabhat University (only available in Udon Thani and Phen), EFM (101.25), and Education Radio (96.0) which targets university students. The regions of Udon Thani that border other provinces can also receive two other MCOT radio stations; Khon Kaen FM (Udon Thani-Khon Kaen border) and Nong Khai FM (Udon Thani-Nong Khai border). The radio stations from Laos available are LNR 1 (103.7), LNR 2 (97.3), and Vientiane City Radio (105.5).